A series of UNDERTALE arrangement albums. FREE DOWNLOAD! 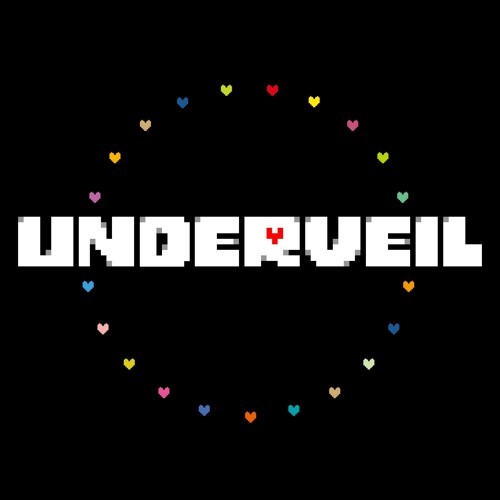 http://underveil.unisphere.tv Original Work: UNDERTALE / Toby Fox http://undertale.com * UNDERVEIL (THE ORIGIN) Arrangers: https://soundcloud.com/oodora https://soundcloud.com/n_koh00 https://soundcloud.com/mossari_yuki https://soundcloud.com/ricora https://soundcloud.com/daphniphyllum https://soundcloud.com/umecha24909 https://soundcloud.com/yuasahina https://soundcloud.com/tanchiky https://soundcloud.com/ryukia https://soundcloud.com/s-don-1 https://soundcloud.com/le_kiriu https://soundcloud.com/izna_izmizm https://soundcloud.com/shimal-1 https://soundcloud.com/frums https://soundcloud.com/yuuyu_ssry https://soundcloud.com/ats024 https://soundcloud.com/puru https://soundcloud.com/take_314 https://soundcloud.com/polycube https://soundcloud.com/kanki2 * UNDERVEIL THE SEQUEL / NEWCOMERS https://soundcloud.com/prily https://soundcloud.com/taqumi https://soundcloud.com/yamajet https://soundcloud.com/seasidemetro https://soundcloud.com/se-u-ra https://soundcloud.com/tc-taka https://soundcloud.com/anubasu-anubasu https://soundcloud.com/kana-hara https://soundcloud.com/user-736793642 https://soundcloud.com/it0ki https://soundcloud.com/mytk https://soundcloud.com/corson31 https://soundcloud.com/nitrox72 * UNDERVEIL THE EXTRA https://soundcloud.com/ut_underveil THE EXTRA Mastering: https://soundcloud.com/daphniphyllum * Still Echoes - UNDERVEIL THE FUTURE / NEWCOMERS https://soundcloud.com/bellota0510 https://soundcloud.com/Motti-HFM https://soundcloud.com/hatitoooo https://soundcloud.com/yuigot https://soundcloud.com/IXDrone https://soundcloud.com/goatwilight https://soundcloud.com/protossprobe https://soundcloud.com/falmaki https://soundcloud.com/n1wa5h1 https://soundcloud.com/sandymaccorzeta https://soundcloud.com/yadrigg https://soundcloud.com/feryquitous Whole mastering by https://soundcloud.com/polycube Artwork & Web by Air http://sukimastudio.com Sorry but we can't check messages received here. For Contact: https://twitter.com/UT_UNDERVEIL This is an unofficial derivative work. (already concluded) UNDERTALE and its soundtrack © 2015 Toby Fox.